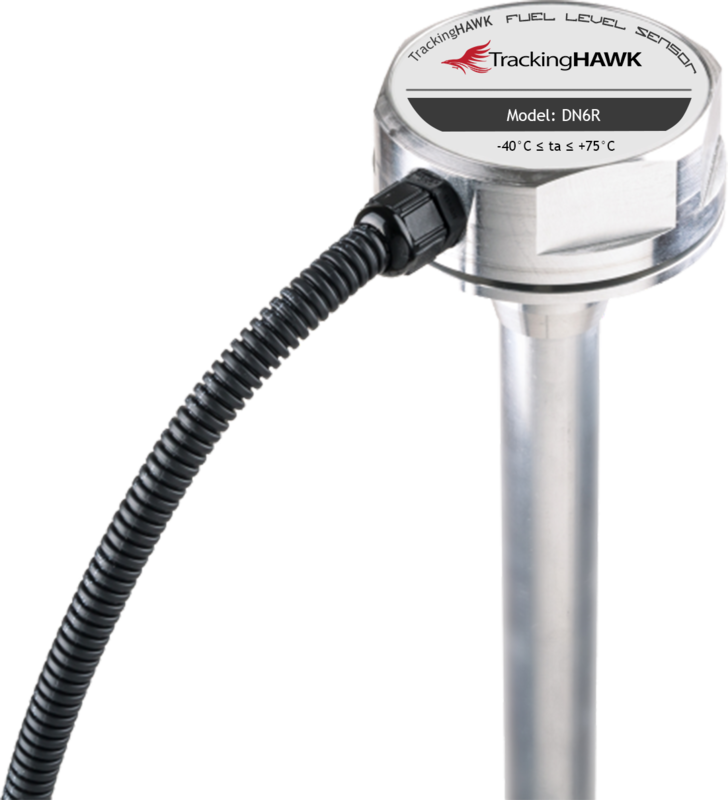 Capacitive fuel level sensor TrackingHAWK DN is intended to measure the fuel level in the vehicles tanks using Capacitance measurement technology. Sensor is based on safe electric neutral technology which only measure frequency and doesn’t pass any electric current between the probe. Metal shell of the measuring head with a proper degree of protection (IP-68 according) Compound filling the shell of the measuring head. The sensors of Epsilon series provide the measurement of fuel level in a vehicle tank with reduced error no more than 1-2%. This accuracy allows registering the minimal fuel charge and drain volume about 5-10 litres for trucks and 10-20 litres for heavy machinery. Compared with the standard resistive type fuel sensors the capacitive sensors are completely electronically operated and bear no moving parts, ensuring low inaccuracy, stability and reliability in operation. All sensors of Epsilon series have a modular design, e.g. the measuring head is mounted and dismantled independently of the fuel probe, which allows easy and quick change, if necessary, the measuring head without recalibration of the tank. This design allows simple installation even in not easily accessible places. All Epsilon sensors are installed partly inside the fuel tank and partly in close proximity to the fuel tank, e.g. in hazardous explosive environment. So all Epsilon sensors have approved intrinsic safety barriers (of 1Ex protection type for Epsilon ES and EN, and 0Ex for Epsilon EZ). The explosion-proof protection of Epsilon sensors is confirmed by appropriate national and EU certificates. Our support service operates for technical assistance of the customers all over the world. Experienced professionals will assist and advise in installation, configuration and operation of fuel level sensors Epsilon. Our training programm is geared toward helping users to develop the necessary skill set and acquire knowledge and first-hand experience in installing and maintaining of our products.